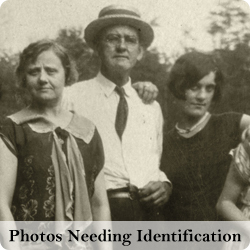 Click the images below to see the full photo galleries. 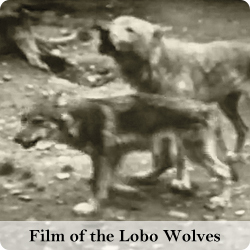 In the early 1900s, during the United States and Canadian governments' campaign to exterminate wolves from the American wilderness, Dr. E. H. McCleery of Kane, Pennsylvania purchased more than 20 live wolves from the Rocky Mountains and Great Plains (which he called "lobo wolves"). 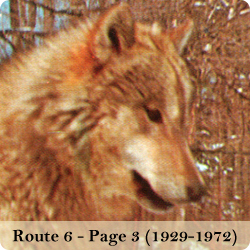 His "wolf farm," where he raised, bred, and exhibited his wolves for 41 years, became a popular tourist destination and ultimately saved the subspecies from extinction. 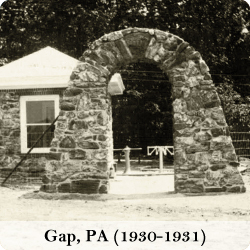 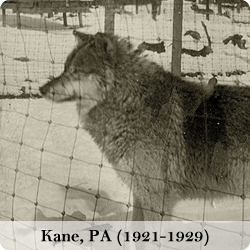 Starting in 1921, Dr. McCleery originally kept his wolves within the town limits of Kane, PA. 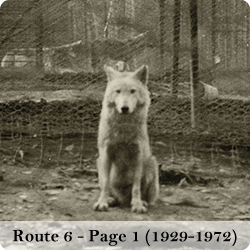 In 1929 he moved his wolf park to a larger location five miles east of Kane along Route 6. 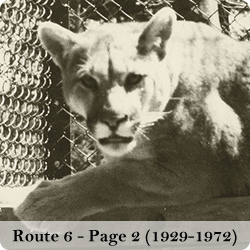 In 1962, three months before his death, Dr. McCleery sold his wolf park to Jack Lynch who continued to preserve the subspecies. 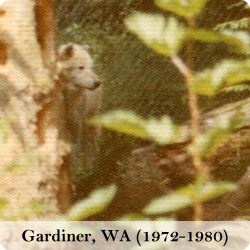 Jack moved the wolves to Gardiner, WA in 1972, and later to Montana in 1980, where they are still bred and maintained today.